By Louis Jacobson on Monday, May 8th, 2017 at 3:39 p.m.
We checked a claim by Rep. Raul Labrador, R-Idaho, about health insurance and its effect on death rates. Here's the exchange between an audience member and Rep. Raul Labrador, R-Idaho, on health insurance and mortality. 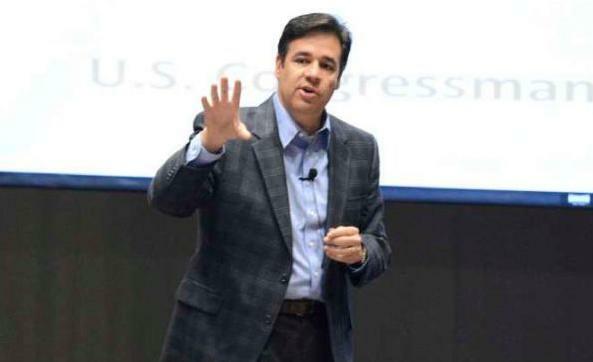 What Rep. Raul Labrador, R-Idaho, told a restive town hall audience in Lewiston, Idaho, was destined to go viral. And it did. At the May 5, 2017, event, questioners asked the congressman about the Republicans’ vote the previous day on a major health care overhaul that would roll back many aspects of President Barack Obama’s Affordable Care Act, including limits on expanding Medicaid, the federal-state health insurance program for the poor. "You are mandating people on Medicaid accept dying," one audience member said. To which Labrador responded, "No no, you know that line is so indefensible. Nobody dies because they don’t have access to health care." The crowd howled in protest, and the comment drew immediate national attention. Writing in CNN, political commentator Chris Cillizza awarded his "Worst Week in Washington" award to Labrador, saying that the congressman had essentially handed Democrats a video clip that was "a ready-made attack line against every vulnerable House Republican." Given all the attention to Labrador’s comment, we decided to fact-check it. It’s not our first time looking at a similar question. Because of varied results from academic papers, we have struggled since 2009 about how to rate claims that a specific number of people die every year because they were uninsured -- a common talking point for Democrats. We found it difficult to pinpoint a specific number. However, Labrador’s statement put a different twist on the question. Rather than saying that a specific number of people had died due to lack of health insurance, Labrador said that no one had. Could that be right? When we contacted Labrador’s office, his staff pointed us to a Facebook post where he explained his remark the following day and accused the media for only focusing on a few seconds of a longer discussion. However, even if you buy the argument that emergency room care would protect the uninsured, that leaves out a whole range of chronic and potentially deadly diseases -- from heart disease to diabetes -- that can be prevented only through long-term access to physicians. We found at least seven academic papers that detected a link between securing health insurance and a decline in mortality. In general, these papers present a stronger consensus that having insurance saves lives. • In 2002, a panel of more than a dozen medical specialists convened by the federally chartered Institute of Medicine estimated that 18,000 Americans had died in 2000 because they were uninsured. In January 2008, Stan Dorn, a senior research associate at the Urban Institute, published a paper that sought to update the IOM study with newer data. Replicating the study’s methodology, Dorn concluded that the figure should be increased to 22,000. • A 2009 American Journal of Public Health study concluded that a lack of health insurance "is associated with as many as 44,789 deaths in the United States, more than those caused by kidney disease." • Three studies looked at state-level expansions of Medicaid and in each case found "significant" improvements in mortality after such expansions of coverage. These include a 2012 New England Journal of Medicine study of New York, Maine, and Arizona by Harvard researchers, and a 2014 study of Massachusetts by researchers from Harvard and the Urban Institute. • A 2014 study published by the health policy publication Health Affairs looked at states that, at the time, had declined to expand Medicaid under the Affordable Care Act. It estimated that the 25 states studied would have collectively avoided between 7,000 and 17,000 deaths. • A 2014 study in the Journal of Clinical Oncology found improved survival rates for young adults with cancer after securing insurance under the Affordable Care Act. We found two papers that might conceivably provide support for Labrador’s position. But as we’ll see, even the papers’ authors did not agree with Labrador. • A paper published in April 2009 in HSR: Health Services Research. In it, Richard Kronick of the Department of Family and Preventive Medicine at the University of California (San Diego) School of Medicine, raised questions about the conclusions of the seminal Institute of Medicine study from 2002. Kronick’s study adjusted the data -- as the IOM had not -- for a number of demographic and health factors, including status as a smoker and body mass index, and found that doing so removed the excess number of deaths found in the original study. • A 2013 paper in the New England Journal of Medicine co-authored by Katherine Baicker of Harvard University compared about 6,000 patients in Oregon who got coverage through a 2008 Medicaid expansion and about 6,000 who didn’t. While the study found improvements in out-of-pocket medical spending and lower rates of depression among those who got coverage, key benchmarks for physical health -- including blood pressure, cholesterol, and blood sugar -- did not improve in such patients. So we asked both of these papers’ authors whether their papers could be used as justification for what Labrador said. "Rep. Labrador is misinformed," Kronick said. "Common sense, as well as the accumulated weight of evidence is sufficient to convince any reasonable analyst that lack of health insurance results in excess morbidity (that is, sickness) and mortality." Baicker, too, said she sees "strong evidence" that Labrador’s statement "is false. 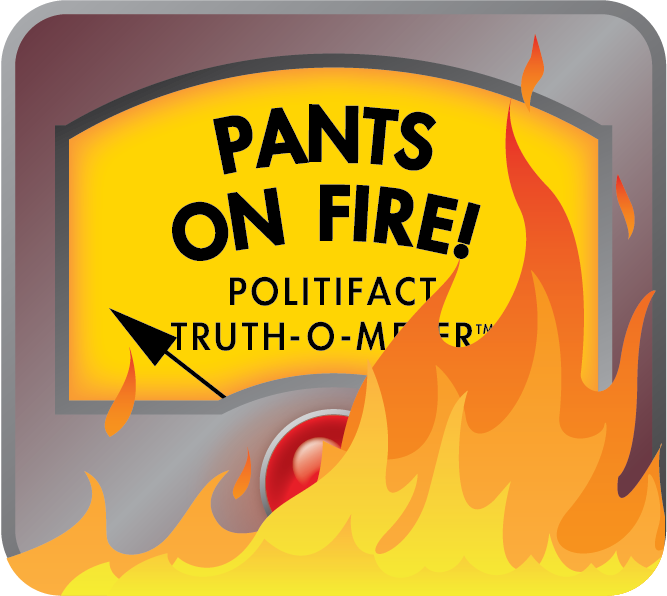 I agree that the exact number is up for debate, but the fact that it is more than zero seems clear to me." Every other health policy analyst who responded to us for this article agreed that Labrador was wrong. Some saw common sense as equally persuasive as the peer-reviewed research. "I was just at a physicians’ meeting where people described patients they had treated who had died because of a lack of coverage," said Harold Pollack, an urban public health researcher at the University of Chicago. "Everyone who does this for a living has personally experienced it in one way or another." At the town hall, Labrador said, "Nobody dies because they don’t have access to health care." Extensive research over the previous decade generally points to tangible reductions in mortality after patients obtain health insurance. Two papers found more equivocal results, but we reached authors of both papers, and they agreed that their findings do not support Labrador’s remark. While the exact number of deaths saved by having health insurance is uncertain, the researchers we contacted agreed that the number is higher than zero -- probably quite a bit higher. Published: Monday, May 8th, 2017 at 3:39 p.m.